It's 4:30pm on a Friday afternoon, the weekend is just an hour away, what do you do? You suggest an impromptu, no-fuss camping trip to the wifey. I like to keep Robin on her toes from time to time. Of course she keeps me on my toes way more. LOL. But when I suggested a camping trip on Friday afternoon, she was hesitant at first, but was quick to say okay after I suggested we just take bare essentials and just go for the night. 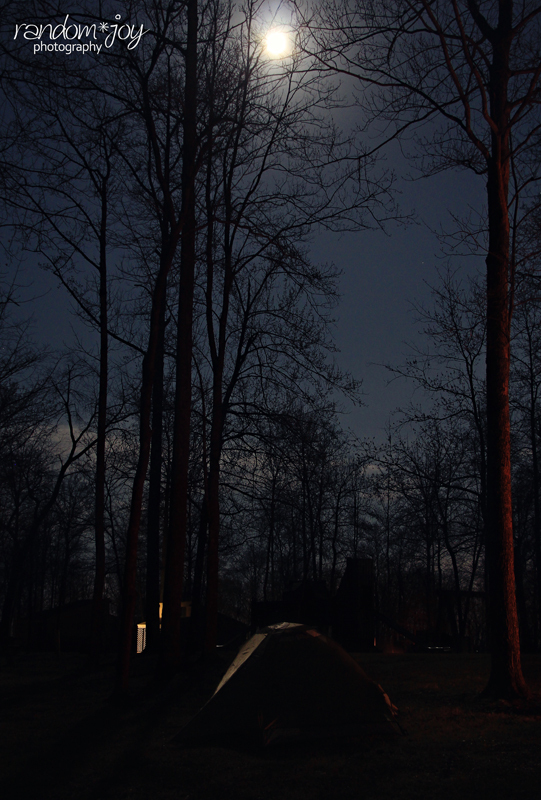 Besides, what better way to start off our camping theme week, than to go camping, especially with the Super Moon in the night sky thanks to it being at perigee? Of course as always, I told Robin that I would help pack once I got home in the next hour, but by the time I got there she had our packs mostly ready and there was very little left to do. (Have I ever mentioned how much I LOVE her? If not, then words really can't describe it. "Insert cheesy 'More Than Words' song lyrics here"). Anyway, we decided that since it was going to be just a one night camping trip and we wanted to make it as little fuss as possible, we only took the bare essentials and pack our backpacks as though we were headed to the backcountry for a night, well sorta. Within an hour of my arrival home we were all packed and ready to head out the door. We first had to drop the kiddo off at Joders as she didn't want to go on our overnight. We'd decided we would stay the night at Norris Dam State Park, and when we were there earlier in the week, the bathhouse in the east campground was still closed. For Ashby, that's a HUGE deal. Once we had her squared away, the next task was to get some food for supper. We figured since we would be arriving after dark, we would just pick up some "good mood food" rather than cook supper at camp. Remember it was a low-fuss trip so every corner we could cut to spend the night under the stars we were going to cut it. With food obtained, we headed to the campground and began the search for a site. When we arrived we decided instead of the primitive campground, we'd take a gander at the west campground since we had never stayed over there. Much to our amazement, there weren't very many campers, and the bathhouse was open on this side of the dam. Can you say "BONUS"?! After picking out a site and paying the $18 fee to the ranger (it's $20 if you are RV'ing), we started to setup. First thing on the plate was to set up our tent. 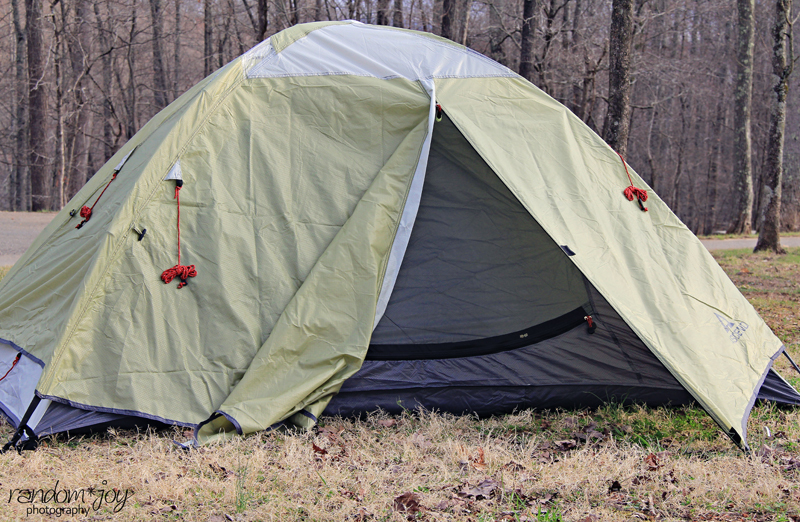 This was relatively easy as we only brought our 3 season Ascend Hiker 2 backcountry tent. It fit Wifey, Me and the Beene quite nicely. With a 20% chance of rain looming, we also put the rainfly on. After the tent was up and our sleeping bags and pads inserted inside, the next task was to find wood for a fire. After about 20 minutes I had gathered enough to start a nice little fire to enjoy until bedtime. 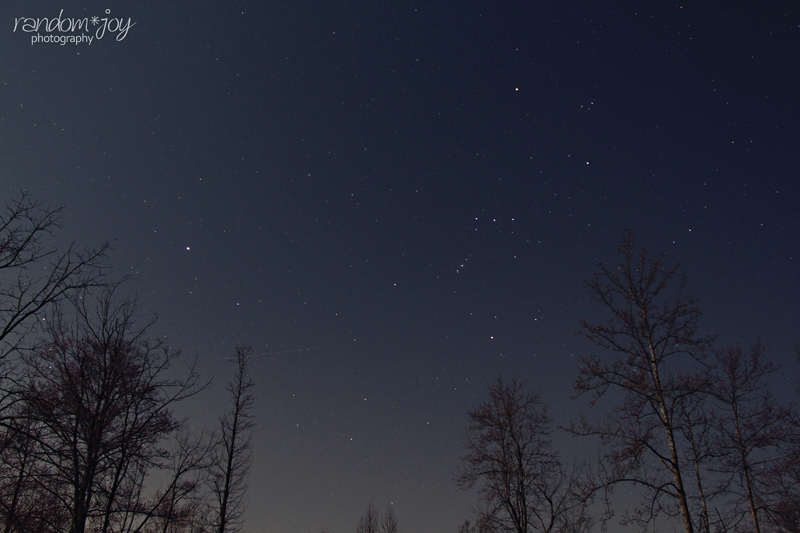 Of course, there were a few more wood hunting trips through the night but I didn't have to go very far. There's been plenty of windy days over the past couple of weeks, so wind fall was plentiful. With the wood gathered we decided to give the magnesium fire starter a try as we didn't bring any fire starter bricks (our normal campfire starter). This was indeed a lesson in futility. For one, the dead grass I gathered was still a bit damp from the monsoon like rains we've had over the past couple of weeks. For two, the wind was a bit brutal so we would extinguish any flame that was produced almost immediately. We did successfully produce a small flame with this method, but it wasn't enough, nor did it last long enough to produce a sustainable fire. After a few more minutes, we broke down and got one of the paper bags from our supper, and in seconds we had fire. 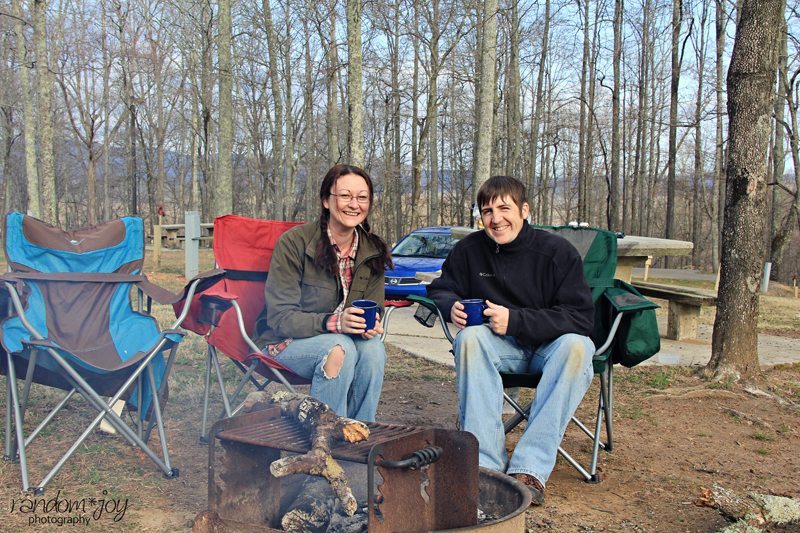 With the fire going, chairs out, and tent up, we were free to do as we pleased. We sat and enjoyed the fire for a few minutes and it wasn't long before Robin was up and grabbing her trusty camera and tripod to capture the Big Bright Full Moon. 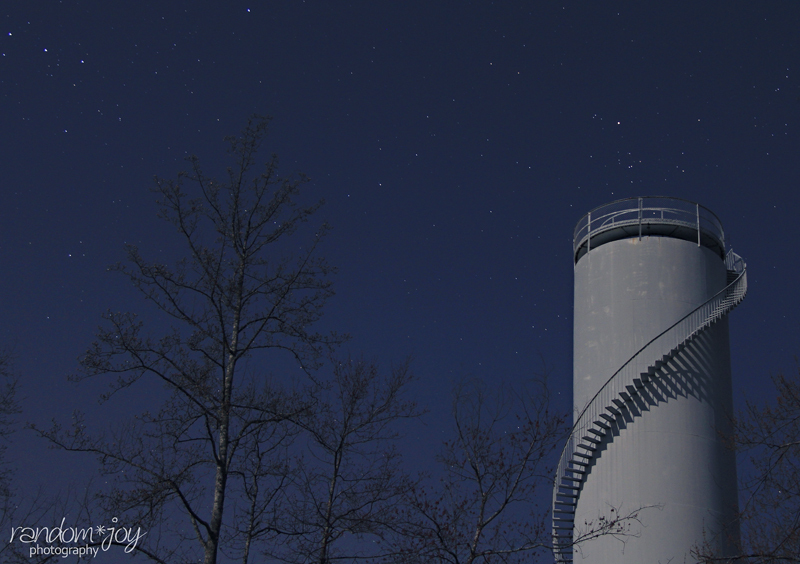 I guess we spent the better part of an hour capturing the moon, and then other night time shots. Of course, I didn't snap any shots as I'm not that experienced yet, so I was content to sit back, watch and learn from my master. 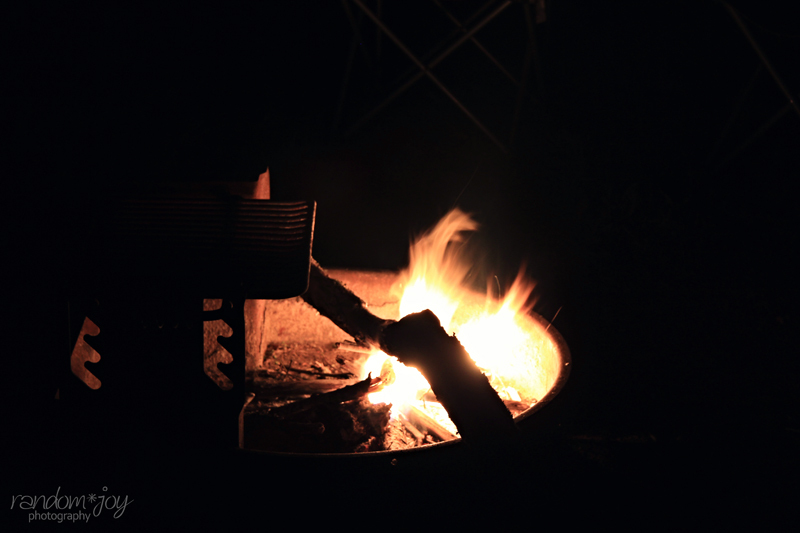 After the photo session, we returned to our chairs, stoked the fire and enjoyed the pleasant spring evening and each others company. It was indeed very relaxing and very enjoyable to watch the moon as it traveled across the sky. I think the Beene had just as fun a time as we did. 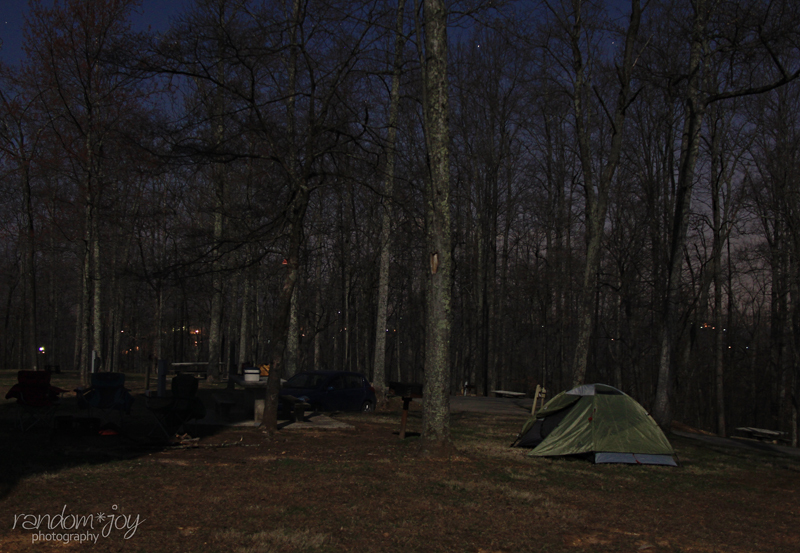 As the hours grew later, we realized, once again, that we were the last ones up in the campground. What can I say, we are night owls, always have been and always will be. However, it wasn't long before we were tired and ready to call it a night. 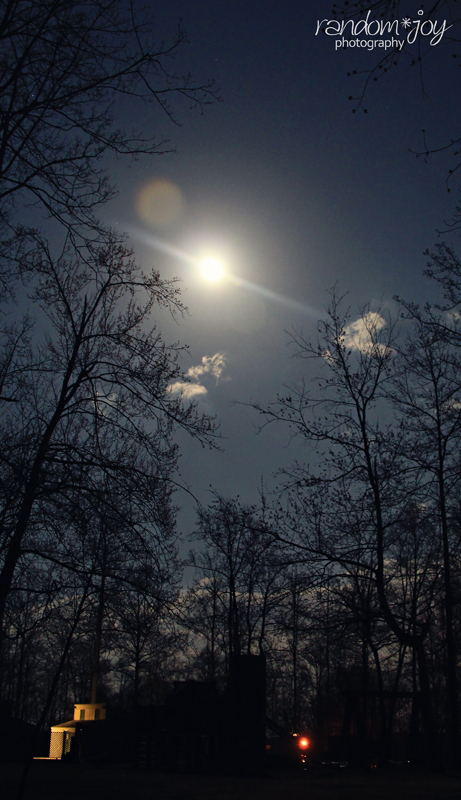 Besides, the wind had picked up and it was getting very chilly. The next morning we were awoke by a barking dog somewhere in the campground. Not sure who's dog it was, but that's all it did for a good 5 to 10 minutes. It was all good though. It was early and something about camping always causes us to get up early so we can enjoy the day. The sleep for me wasn't bad. Of course I can sleep in pretty much any situation and I can sleep through a tornado. Robin on the other hand didn't sleep that well. She was up every 20 minutes or so. Something about being to old to sleep on the hard ground and her head being cold until she realized she could put her sweater over it. It didn't take us long to emerge from the tent. Within minutes we were out, and I was working on a morning fire to enjoy our coffee by. As I worked on the fire, Robin worked on the coffee. We decided that we would wait until we got home to have breakfast, as we knew we had a lot to do that day we didn't want to dawdle too long at camp. 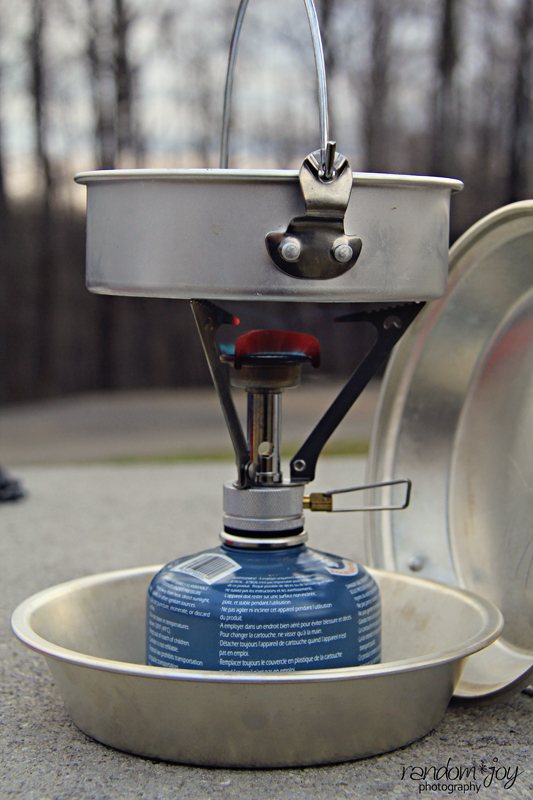 We used our backcountry MSR Pocket Rocket stove and Jetboil fuel to boil enough water for our coffee. I have to say that once we figured out the way the wind was blowing in it didn't take long to bring the water to a boil. Robin had rigged the cookware to block it. **Something else to add to the want list: Windscreen** Boiling 9 ounces took 2 minutes tops with the burner at half power. After a couple morning shots with the camera, and our cup of coffee down, it was time to break camp, pack up the car and head on our merry way to take on the day. Besides, our bellies were screaming for sausage biscuits and they weren't going to let up until they were satisfied.